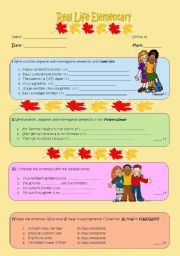 This is a worksheet which helps your student do some brainstorming. You have to cut letters, and tell them to use that letters to fill the sheet.The letters are endings of the left word and begining of the right word. Students love this, because they can compete between themselves. Hope you like it. This is a worksheet with green cards for the board game Funny English race. It´s editable. This is a worksheet with pink cards for the board game. It´s editable. This is a worksheet with blue cards for board game Funny English race. It´s editable. Funny, educative and very interesting for students all ages. Everything is editable and you can adjuct it to the level you need. In addition I will upload cards you will use to play this game. My children adore this game!!! Have fun! 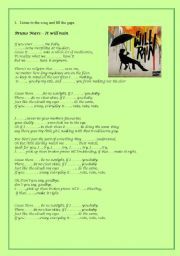 Great song for practicing conditional clauses. 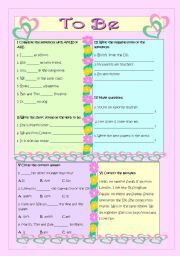 Worksheet contains speaking activity as well as listening. I hope that you´ll enjoy. Students practice the use of Have got form. This is a worksheet Board Game Funny English Race with orange cards for charades. It´s editable so you can adjust it to your student´s level. 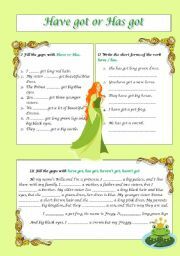 This is the worksheet with the present form of the verb to be.